Floating Lab Collective (FLC) is a group of artists based in Northern Virginia working collectively on public art, new media and social research. 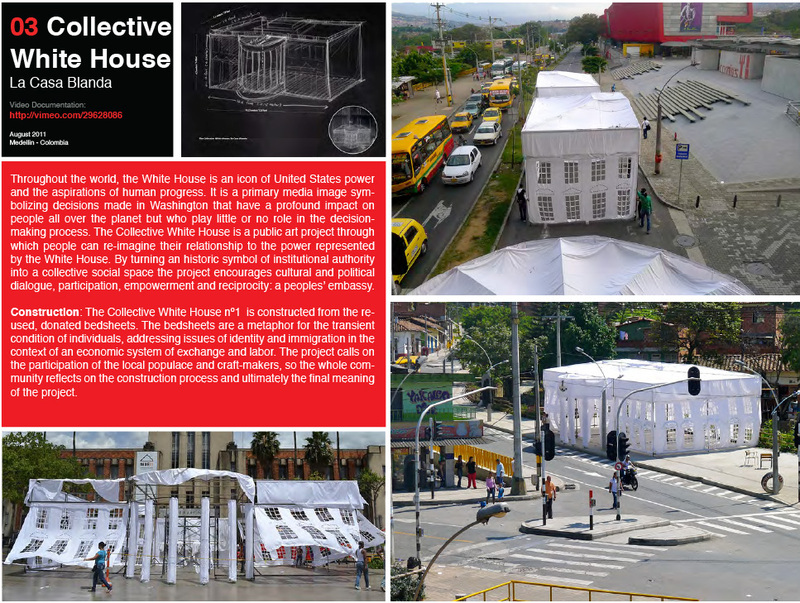 FLC has worked extensively in Northern Virginia and Washington, DC as well other cities such as Detroit, Medellin, Colombia and Louisville, KY Our goal is to expand public art practices and provoke discourse about the future of society. The collective is a dynamic and flexible group that draws together resources in response to specific communities. Each project experiments with key leverage points within communities that have the capacity to expose, analyze and transform around identity, economics and the environment. The collective’s working process is integrative, turning social action into art and creative processes into social change. FLC is known for designing new platforms to provoke participation such as mobile, digital and transportable devices. All FLC projects aim to be acts of service that bring sustainable resources to a community, acts of acknowledgement that educate and promote community members and acts of empowerment for participants. Floating Lab Collective began in 2007 at the Multimediale Arts Fesitval organized by Provisions Library, a research center for arts and social change. Its first public action, Protesting on Demand, deployed teams throughout Washington to mount spontaneous protests, as requested by the public. The project was also performed at Transitio MX Laboratorio Arte in Alameda, Mexico. FLC formed a partnership with Provisions Library, serving as its community and public art program. 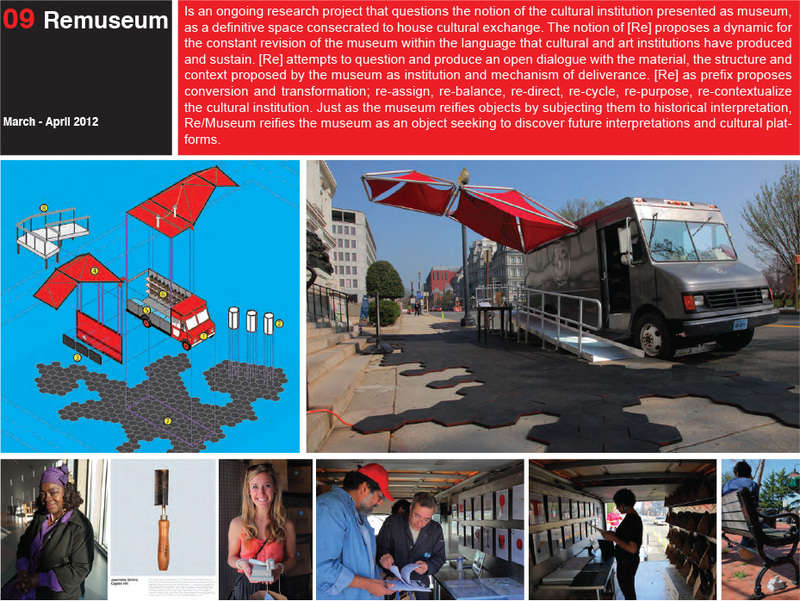 With funding from The Creative Communities Initiative of the Community Foundation of the National Capital Region the Floating Museum was founded using a food delivery truck as a mobile museum and platform for participatory art practices in collaboration with communities in DC, Indianapolis, Kentucky, Detroit and Medellin, Colombia. Floating Lab Collective participated in Provisions’ Brushfire Project a public art series that was displayed nationwide during the 2008 elections. Floating Lab exhibited in Close Encounters: Facing the Future at the American University Museum, later shown in New York City at the Nathan Cummings Foundation and at Denison University in Ohio. Other exhibitions include, Let’s Talk! at The World Bank, Res-Publica: Space as Essay at the Cafritz Foundation Art Center and The Exhibit Theater of Peace at the NGBK in Berlin Germany.